Looking for Facebook quotes about life. How about the laundry? 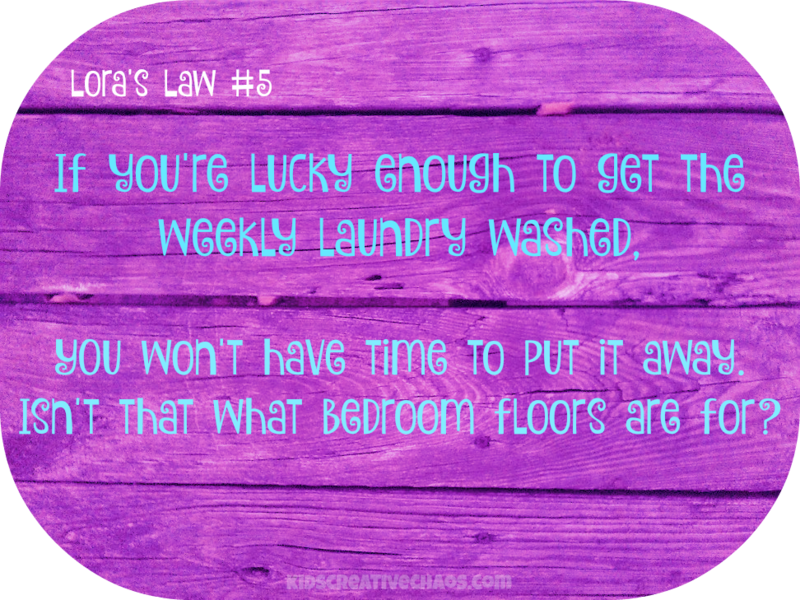 Lora's Law #5 is all about the laundry. Do you bury your room in clean clothes? Enjoy! Laundry Facebook Quotes about Life: Lora's Law #5. "If you're lucky enough to get the weekly laundry washed, you won't have time to put it away. Isn't that what bedroom floors are for?" I'm always worried someone will come into my room without my permission, and stumble over a pile of laundry. What if they think it is dirty laundry and call the hoarder police on me? At any given day, you will find a very nice stack and a pile (or two) of clean clothes on my bedroom floor. Hey, I'm a work in progress. How about you? I'm just grateful to have clean clothes to wear. You can guess how I feel about the archaic iron!